Community Spotlight: Grace Institute – Learn. Grow. Expand. 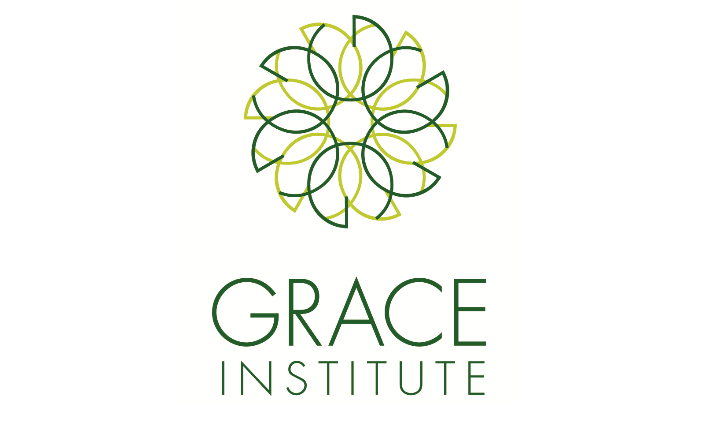 Grace Institute is a non-profit organization that has provide job readiness training to women for more than one hundred years. Originally a school run by nuns, the agency has since transitioned into a workforce development program geared towards the current job market. The program is tuition free but requires a 20 week commitment, Monday through Friday from 9:00am to 4:00pm. 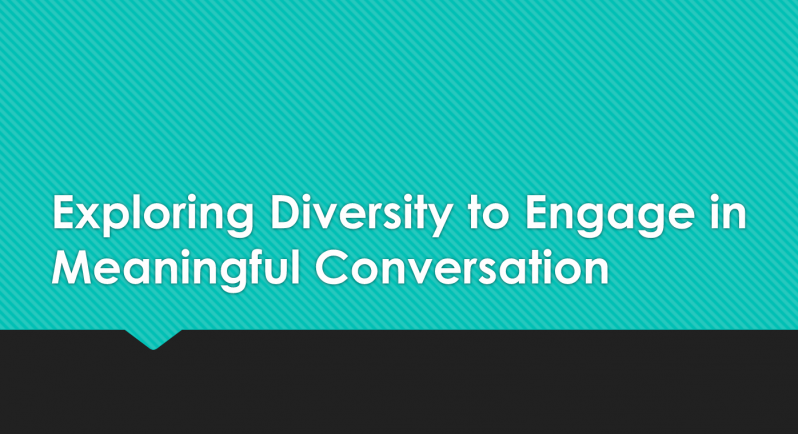 Participants receive training in 4 core components and spend the remaining time interacting with industry professionals who volunteer their time. The women in this program are from all walks of life – some had full times for 30 years and were suddenly laid off with no plans for the future. Some of the participants are underemployed and want to find a career, rather than a job. It’s important to note that Grace Institute focuses on job and career fit over placement. As such, they teach participants self-evaluation and reflection. Volunteers from partner corporations come in to speak to them, both to give them an idea of where their skills can take them, but also to open up new thoughts on career paths. In institute also places strong emphasis on adult learning strategy, structuring the environment and classrooms to incorporate collaborative learning, open dialogue and critical thinking. Grace Institute was founded by W.R. Grace, an Irish immigrant, in 1897. When he began running his business, he employed many immigrants. The wives, sisters and daughters of these employees generally lacked the skills to compete in the job market. The institute was created to provide workplace skills for these women. Originally run by nuns, the organization has always been geared towards practical skills – in the early 1900s, this was sewing, cooking and other domestic tasks. As the marketplace changed, so did the course offerings. Grace institute is focused first and foremost on providing immediately applicable job skills to women in need. The courses cover both hard and soft skills with the intention of helping women find long term and fulfilling careers. Formerly a school, the agency has made a conscious shift towards being recognized as a workforce development program. As part of this shift, the attendees are known as participants instead of students. The program itself is run as a business casual corporate environment – from the clothing, to the settings to the fact that the women clock in every morning, all in preparation for working in a professional setting. One of the participants described it as a “completely holistic approach”. Up until this year, the 136 participants were split across 4 sections, all receiving the following 4 classes; Business Writing and Communication, Office Technology, Keyboarding, and Professional Development. 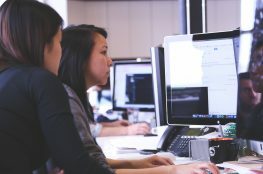 The necessity and set up of each course is continually evaluated to determine whether the skills are still relevant in the current job market. At the moment, Grace Institute is implementing Salesforce to track job placement and retention among alumni. They intend to use that data to modify current courses or develop new ones. This year, the agency began a pilot program in one of the 4 sections to prepare selected participants for the role of Patient Services Representative (PSR) in the Healthcare field. By evaluating the job market, the Directors determined that there was potential for better job placement by focusing training to meet the needs of this field. To join the PSR section, current participants must sit through an application and interview process, much like when they were first admitted to the program. The institute is tuition free, save for a $75.00 registration fee and a $75.00 books/technology and materials fee. There is a strict admissions process to ensure that the women that are accepted will be committed to successfully completing the program. Grace Institute is a non-profit that does not receive any government funding. To remain tuition free, the Grace family accumulated a sizable endowment which is now approximately $30 million dollars. Until 2012, the organization was pulling 100% of its operating costs from this. Since then, they have hired Jessica James, Director of Development, to cultivate relationships with business and procure grants from organizations such as The Robinhood Foundation, The Pinkerton Foundation and The Blackstone Group. Additional funding and support comes from corporate partners. These businesses provide volunteers who come in to teach business skills or discuss their path to success. They’ve even had members from Google come in for a day long team building exercise that taught IT skills to the participants. Recently, the agency received a $100,000.00 donation from American Security that financed a new computer lab, including approximately 100 computers. The hope in building these relationships is to raise donations, provide industry insight to participants and allow networking opportunities that may lead to employment opportunities. Last year, Macy’s place 25% of their graduates in Merchandising roles. The tour was led by the Director of Development, Jessica and two participants on the path to graduation. These women, Tolou and Rose, were passionate about the program and effusive in sharing the impact it had has had on their lives. There were also two representatives from another organization, ParentJob.net, who were touring Grace Institute in hopes of establishing a partnership. Walking into the classrooms, it’s easy to see that these are all mature, professional and dedicated women. Even without an instructor, they are all working on something, no one is on their phones and they were immediately engaged when we walked into the room. Rose and Tolou were eager to talk about the projects they’ve been working on and there were examples of collaborative learning projects on every wall. The women is this program generally range from 18 to 65 in age. Previously, one of the 4 sections was comprised of all young adults, who make up about 30% of attendees. With the addition of the PSR section, that group has been integrated into the other sections, increasing the diversity of age across the remaining groups. Regardless of section, all participants take the same core classes together. Age, race, language and past work experience vary greatly and has very little bearing on placement. There are lawyers, teachers, stay at home moms, and accountants. Some of the participants are fresh out of high school. Some, like Rose, have been employed for 26 years but were unhappy, and some, like Tolou, had been out of the job market for over 10 years and found that her skills were sorely outdated. While we stopped into a few different classrooms, only one of them was in session and we were unable to speak to the instructors. We observed the first day of the PSR course, which was an overview of what the field and the position were. Once completed, PSR-track participants should be fully equipped to provide customer care in settings such as hospitals, urgent cares centers, and medical offices. Grace Institute is partnered with Weil-Cornell, LIU, and New York Presbyterian and has recently partnered with CityMD for job placement. Based on the conversations prior to the classroom tours, I was surprised to see the instructor using a PowerPoint presentation to deliver initial information. The first slide we were shown was a diagram of all the tasks associated with someone in a PSR role. She briefly went over the content while participants took notes, but there wasn’t any open dialogue or question/response that would get participants actively involved. Although she related the information to herself by saying, “At my core, I am a PSR and I have PSR duties”, she didn’t elaborate further or provide any personal details about the job she does. However, we only observed the lesson for a few minutes, so I cannot fully evaluate the facilitation method. The course that I found interesting, and that the participants said they found most valuable, was the Professional Development course. Tolou and Rose spoke passionately about how it affected their way of perceiving themselves, others and the world around them. It’s unfortunate that we weren’t able to observe it as I think it would provide a better representation of the agency’s prescribed method of teaching adult learners. Below, I briefly detail some of the more interesting aspects of the 2 of the courses and how they are taught. Keyboarding – This class is taken in a group setting but it is differentiated per learner. 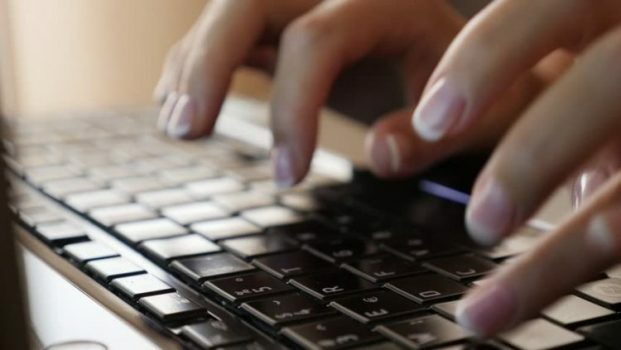 A typing test is given at the beginning of the program to determine the participant’s average typing speed (WPM). A goal is then set to add 15 WPM to that initial number, i.e if you began at 40 WPM, by the end of the program, you should be at 65 WPM. Participants use a software that gauges where they are and then helps them to reach their goal. This allows students to go at their own pace, eliminating frustration and undue competition. Professional Development – This class provides many soft skills needed in the workplace but rarely discussed. They cover etiquette, verbal and non-verbal communication, self-confidence, and cultivating your business persona. To prepare for job searching at the end of the program, participants engaged in a mock interview with 45 volunteers from different companies, who provided them with valuable feedback. In terms of participant evaluations, every class provides tests, and at least 2 progress reports. Technology courses also use ProveIt.com to assess progress. There are two full time social workers on staff to provide counseling to participants who are struggling either in the program or in their personal life. If it is determined that she won’t be able to complete the program, she is counseled out. The average program completion rate is 75%, with last year exceeding that at 87%. Their processes seem to work – 80% of their graduates are place within 1 year. This visit left me extremely impressed with Grace Institute and what they have accomplished. They have been in operation for over 100 years and they have evolved to continue their mission in an ever changing world. It isn’t easy to balance providing a much needed service to communities and operate as a business, but they do it well. I think this starts with their mission as a workforce development program and their admissions process. From the very beginning, participants are given an orientation. If they apply, they can expect to be interviewed, take aptitude exams, pass the TABE test and be evaluated for risk factors to determine if this is the best time and/or fit for them. If an applicant is not admitted, they are referred to other agencies that provide similar services. While they can’t accept everyone, they provide motivation and resources to anyone who comes to their doors. The other take away for me was the level of support provided by the staff and fellow participants. I have been very interested in building positive and open learning environments and that feeling is prevalent at Grace Institute. There’s a floor to ceiling whiteboard in the halls where participants write motivating messages to each other. Every Friday they have something called Friday Forum where they watch TedTalks, discuss their growth and ask questions. Every Tuesday and Thursday, they have something called ‘Food For Thought’, wherein a corporate volunteer visits to give insight into his/her field. There are open computer labs, free periods to catch up on work, and a community center to catch up with fellow participants. The women here are treated like adults in a working environment and, regardless of their background, their experiences and opinions hold value and are respected by everyone in the organization. So many of the things I witnessed have already gone in my toolbox and the visit has introduced me to a completely new way to approach workforce development.